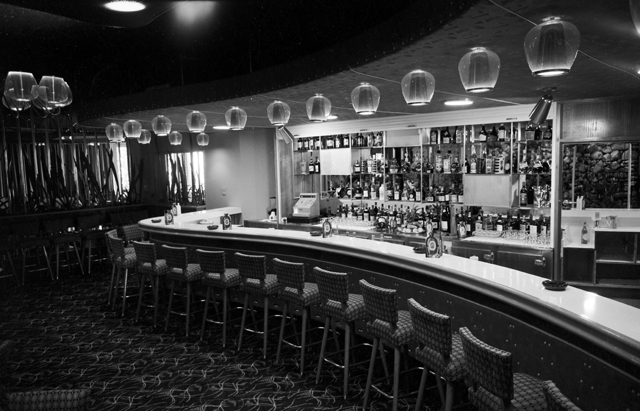 Interior of the American Bar at the entrance to the Paradise Room in the Surfers Paradise Hotel, Queensland, 1958 [picture] / Alexander McRobbie, photographer. 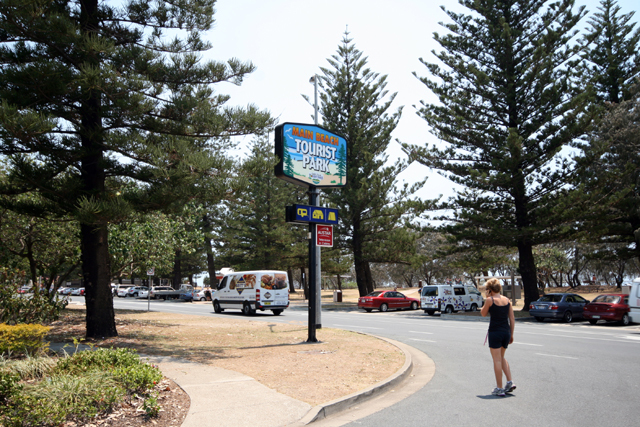 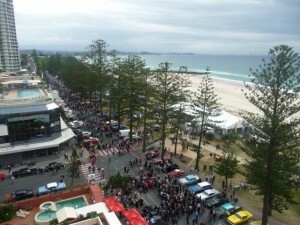 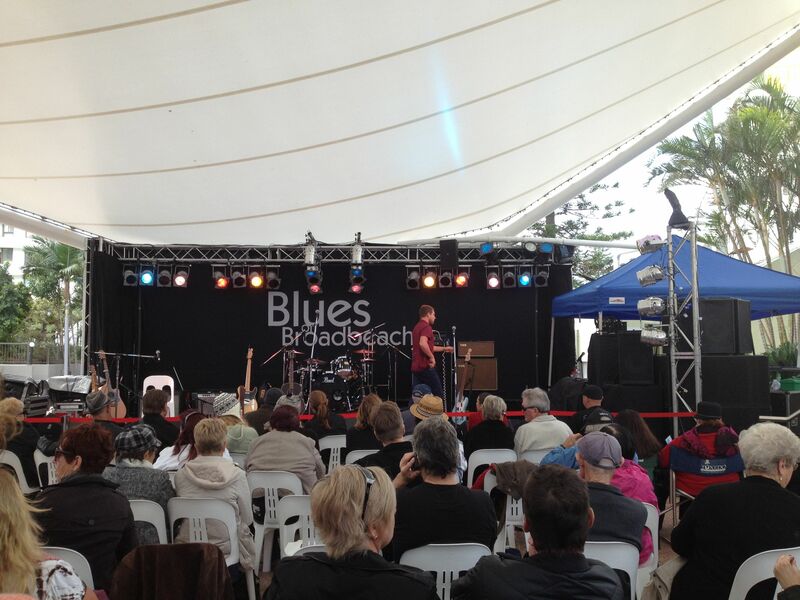 Main Beach Tourist Park, Main Beach Parade, Main Beach, Queensland, circa 2010 [picture] / Cal Mackinnon, photographer. 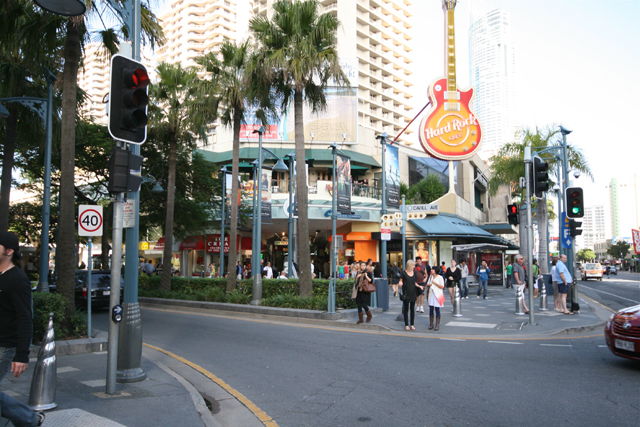 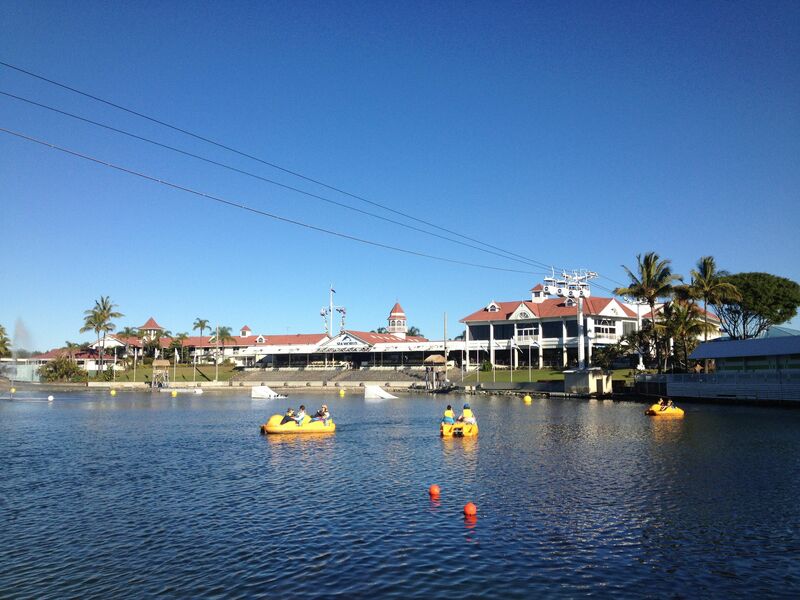 Site of the former Surfers Paradise Hotel, now the Hard Rock Cafe, corner of Cavill Avenue and Surfers Paradise Boulevarde, Surfers Paradise, Queensland, circa 2010 [picture] / Cal Mackinnon, photographer. 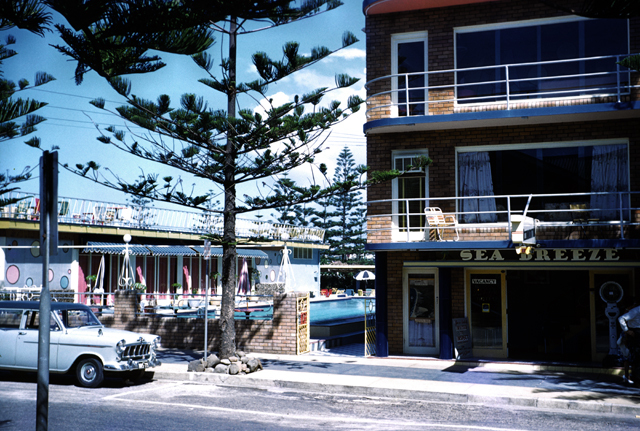 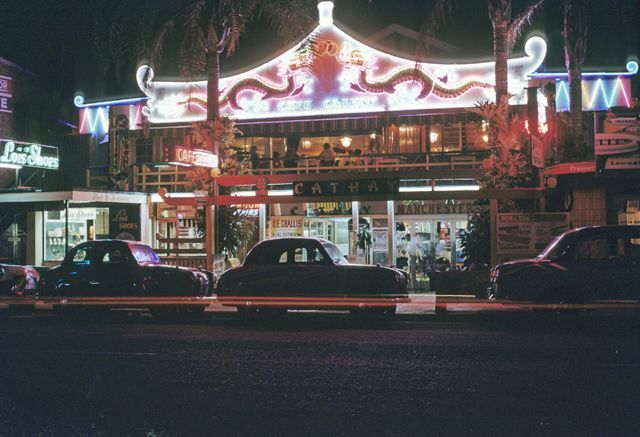 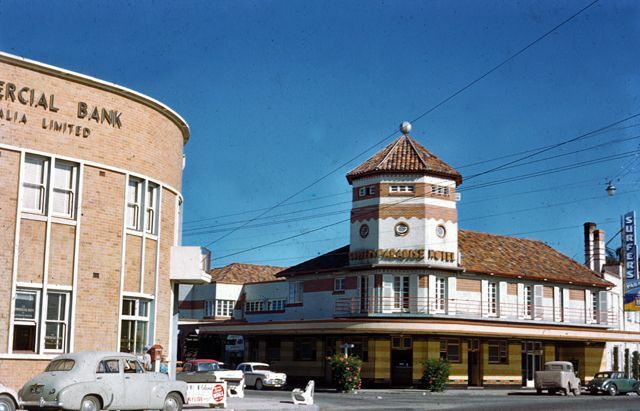 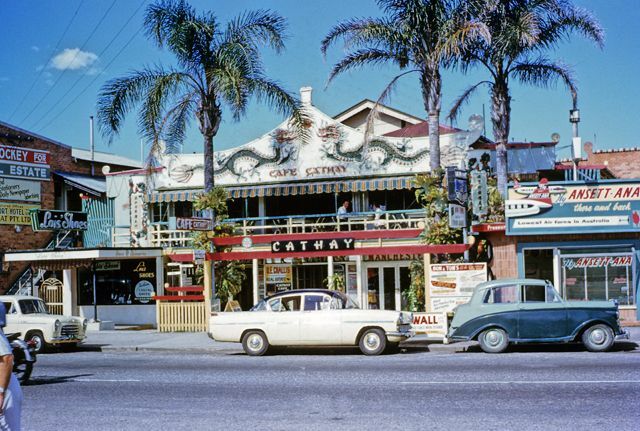 Sea Breeze Hotel, Cavill Avenue, Surfers Paradise, Queensland, circa 1960s [picture] / George Barnes, photographer. 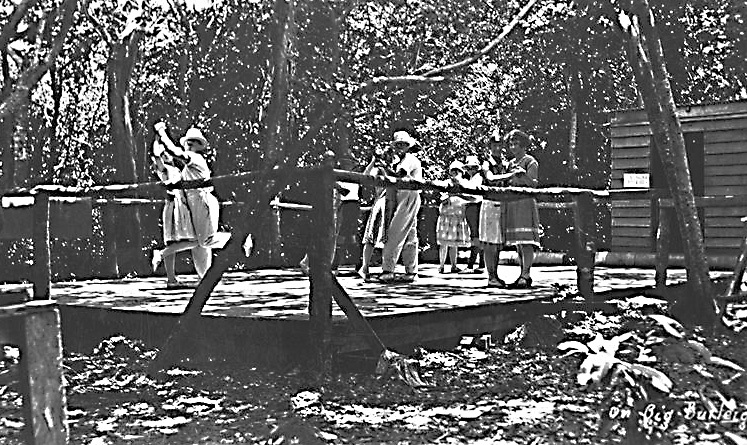 Dancers at Rose’s “Roof Garden” on top of the headland at Burleigh Heads, Queensland, circa 1930 [picture] / Photographer unknown. 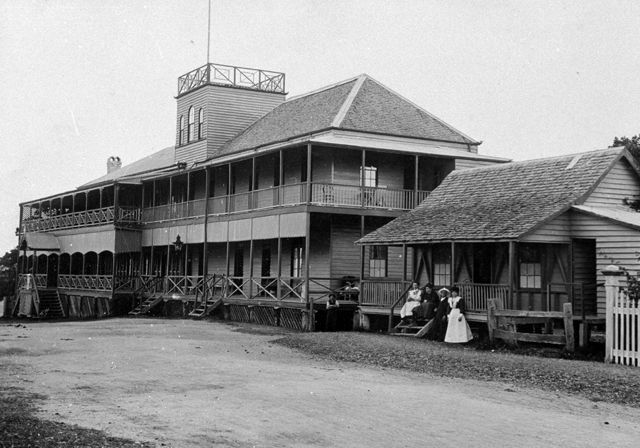 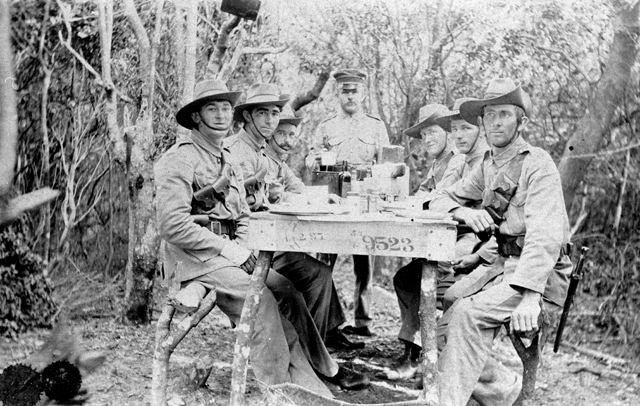 Believed to be Cable Station Guards having tea, Southport, Queensland, circa 1914 [picture] / Photographer unknown.